dataSploit is now available as a framework and can be used in 2 ways, either as a library such that it can be incorporated into other projects or as a standalone tool. Given below are the methods to install and use dataSploit in the mentioned 2 ways. 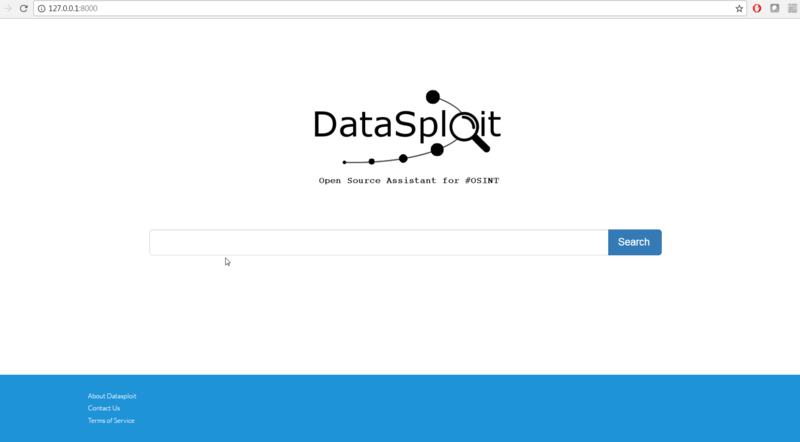 dataSploit is now available on the pypi repository for easy installation using pip. If you’re a developer looking for a way to leverage the capabilities of dataSploit in your own projects, this method is probably the way to go for you. To use dataSploit as a library to incorporate in your own projects, please follow the below instructions to set it up. This command does all the work for you. It even installs the dependencies for dataSploit in your python environment. Once dataSploit is installed successfully, you need to edit the config file to add your own API keys. Simply run the below command to open up the config file in a vi editor. The below command is the gateway to edit the config file. If you’re looking to use dataSploit quickly for scavenging information, you can simply run it as a standalone tool. Follow the below commands to set it up. The steps mentioned above are all that is required to get dataSploit up and running. Once done, following is the sample usage of different modules or dataSploit as a whole. That’s it. dataSploit is now setup and ready to go. Both methods of installation provide flexibilty to all types of users to leverage the modules of dataSploit as needed. All the scripts meant to perform osint on domain starts with the keyword ‘domain_’. Eg. domain_subdomains, domain_whois, etc. In similar manner, scripts for osint on email_id starts with ’email_’, eg. email_fullcontact.